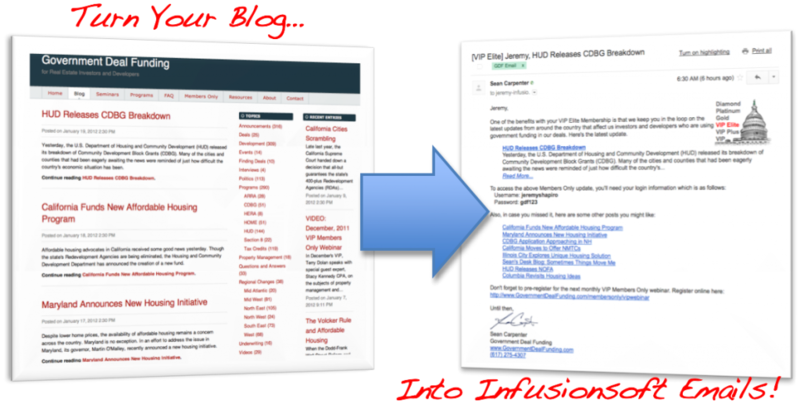 Do you have a blog, members only site, or other RSS feed that you want to keep your contacts up to date with? With FeedBolt, we take the latest from your site and send it out to tagged contacts all through Infusionsoft. Brilliant! Wish You Could View the Complete History of a Given Support Request From a Customer? Wondering How Quickly You are Getting Back to Customers and How Quickly You’re Able to Resolve Issues? 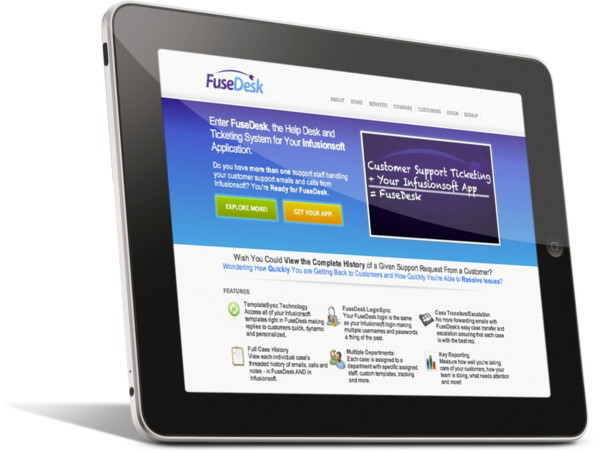 Enter FuseDesk, the Help Desk and Ticketing System for Your InfusionsoftApplication. Imagine being able to focus on building the business model you want to grow your business knowing that you have someone handling your Infusionsoft Application, expanding it’s capabilities, and supporting your business. That’s what we do for businesses just like yours. FuseDesk – Support Ticketing for Infusionsoft World class customer support system, fully integrated to your Infusionsoft Application! Moving from 1ShoppingCart to Infusionsoft? We can help with the full transition including moving products, order forms, past orders, subscriptions, billing information and more. Do you want affiliate specific landing pages, webinar registration pages, sales pages and more on your WordPress site? 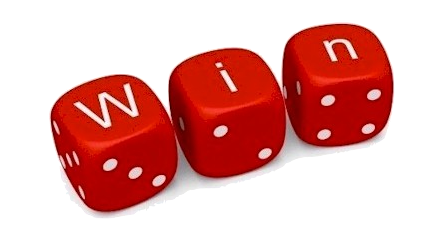 Use our free plugin to link your WordPress site to your Infusionsoft Affiliate Database. At last you can have good looking GoToWebinar registration pages, capture the leads in Infusionsoft AND automagically register your leads for the webinar!